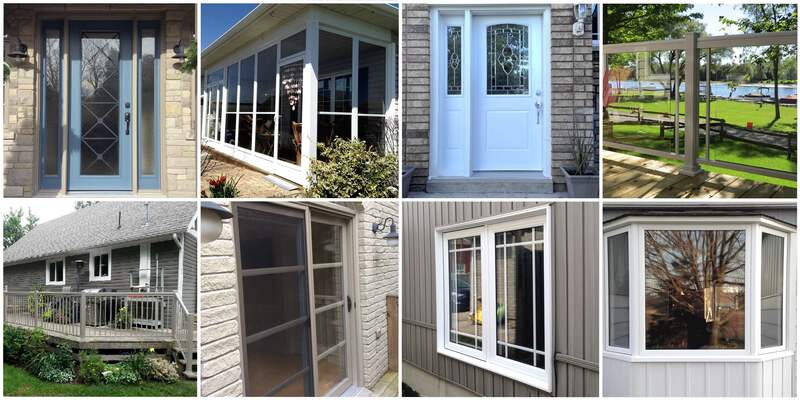 At Clarington Home Renovators we firmly believe that if you are looking for a quality contractor for vinyl window replacements, exterior entry doors, patio doors, front porch enclosures and storm doors then we should be your first choice because that is our focus and what we do best. Clarington Home Renovators has been in business since 1999 and is locally owned and operated. We have built our reputation on our honesty, quality workmanship and service to our customers. Our company sell and installs only quality products with the best warranties in the industry with competitive pricing. We service window contractors in Durham as well as homeowners. Our product lines include replacement windows featuring the best windows available from Northstar Windows and Northstar patio doors. The multiple choices of vinyl window designs available with laminate exterior and interior colours as well as accessory products make replacing windows easy. All of our replacement windows come standard with low-e argon thermal glass and are energy star tested, rated and approved. We carry a wide variety of exterior entry doors. From your standard garage entry door to custom-designed exterior front doors. With hundreds of glass designs available as well as custom painting and staining, your choices are endless. Our doors feature the latest advances available with your choice of colours on hinges and hardware, custom laminated frames, mortised jambs for hardware, custom sizing for height and width, standard low-e glass, energy star certified, steel or fiberglass doors and sidelites, handicapped sills as well as multiple other options make us your choice for exterior doors.